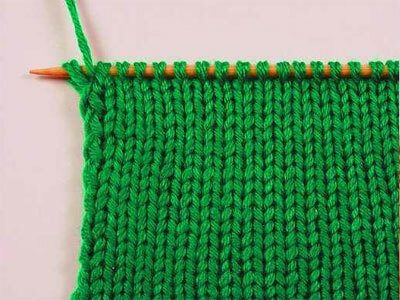 The main difference between knitting knitting with a hook, where in addition to the loop, there are various bars, It is, that it's based on two basic types of loops, and all the other loops and patterns are made on the basis of their. Therefore, many prefer to engage in precisely this type of needlework. Learn to knit loop is not difficult, important to have this desire and patience to learn the techniques and better performance of the basic tabs and their derivatives. edgeit is. Do without these loops can only circular knitting, and when you create a rectangular cloth, they are indispensable components of his. crossed. Knitting with these loops has been popular for a long time, as the canvas, created on the basis of their, It is considered to be more durable, less subject to deformation and long retains its original appearance. Collar subtraction or ubavochnaya loop. This loop is done to reduce the number of loops. Nakid - this kind of loop is mostly used just for openwork pattern. elongated loops give a more gentle form of knitting. They are one of the species captured loops. aerial loops used to increase the length of the web, by adding new loops, In addition they can be used to make loops for the buttons. English. These loops are not, more than a facial loops, but related in another way, called English. Additional and double hinges are made in the case, when it is necessary to increase the number of loops in the web. The face may be knit loop in two basic ways the front wall or the rear. Working thread is omitted in the bottom of the canvas and jumped on the index finger of the right hand. Right needle to hook the loop in the direction from left to right. After that, also on the left side grab a working thread, while holding the back wall tabs, and stretch it through the loop, located on the left spoke. Working thread throws on the index finger of the left hand, leaving, in this way, her canvas. Loop on the left spoke grab on the right side of the rear wall and pull the thread through her work. Thread jumped on left needle. Right needle is threaded from the right side under the front wall of the loop. After that, the working thread a little tinker with the thumb of the left hand so, that it was faced with an eyelet. Tightens the loop right needle slightly upward, at the same time capturing the clockwise working thread and dragging it through the loop wall. Edge loops are needed, edge products to look neat and rovnenko. Edge loops are divided into first distal edge, which begins on the second row and, the final number. 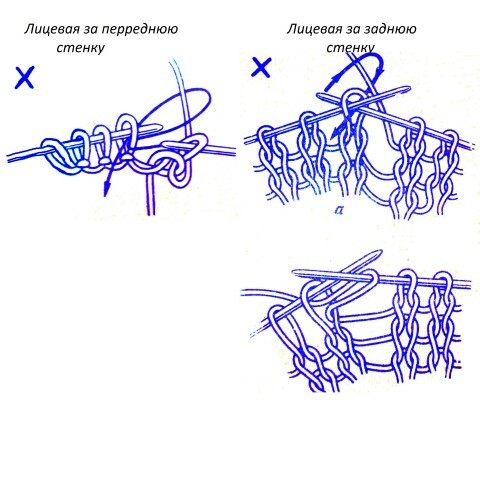 In order to get a smooth edge of the braids loops first distal edge or the first loop as the face of a number of provyazyvayut loop, and the second edge or the last loop of a number of not at all promazyvayut. 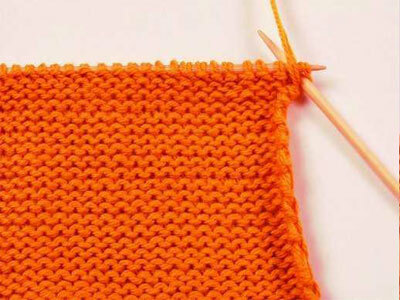 Nodular edge turns, if the first distal edge, ie the number of the first loop just throw the second needle without any changes and purl loop knit the last loop of knitting needles. If you want to make a short loop, length with one or two rows, the loop on the right spokes simply removed the right not knit, and if necessary slightly tightened. Longer loops are made in the following way: needle is put through the wall loops from left to right, then spoke on the edge throws a working thread a few times, forming on her coils, then the future elongated loop is pulled through the loop of the previous row. The number of turns is made depending on whether, what height must be pulled thread in the future. The more turns, the higher will loop. 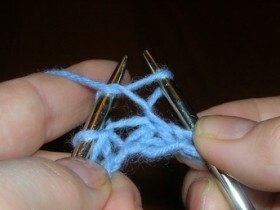 Sc is very easy, To do this during a working thread crochet just jumped on right needle to knit loop. To using sc to get a hole in the row it is necessary to knit the rear wall, if needed indoor sc, then the front. For provyazyvaniya same stitches, Working thread first jumped on a finger, so that the shape is reminiscent of a loop, and then make a copy with his right needle and gently pulled. Working thread snapped up the top fabric on the index finger of the left hand, so that it is located above the required loop. Right needle from bottom right to left to hook back wall seamy loop. Grab the working yarn from right to left and pull a crossed loop. In the event that the front loop is looking forward wall, needle is inserted before the rear wall, then pulled a loop. If the back wall is positioned closer to the hinge edge, the needle is inserted before the front wall and the working thread is drawn. Despite, that additional and double loop similar functions, They run and they look in their own way. 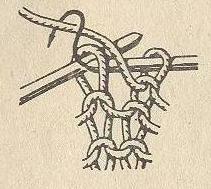 For additional knitting loop thread is pulled from the interval, located between the knit and has not knit loops. The loop is knitted face or seamy, depending on the pattern, the front wall. Then knit loop is not thrown off the left spokes, and again provyazyvaetsya already beyond the rear wall. After this, the obtained double loop, vyvyazannaya one. Subtraction is knitted loops can be anywhere provyazyvaemogo series, and this can be done on both the front, and on the wrong side of the web. To perform the subtraction loop or loops ubavochnoy two loops are on the left spoke provyazyvayutsya together as a facial or purl loops depending on the pattern. The ability to knit loops with needles is the first step towards the development and the conquest of this type of needlework.